Jewelry-making is much more my speed than is scrapbooking, and since it seems that spring may be here to stay (70s all this week! 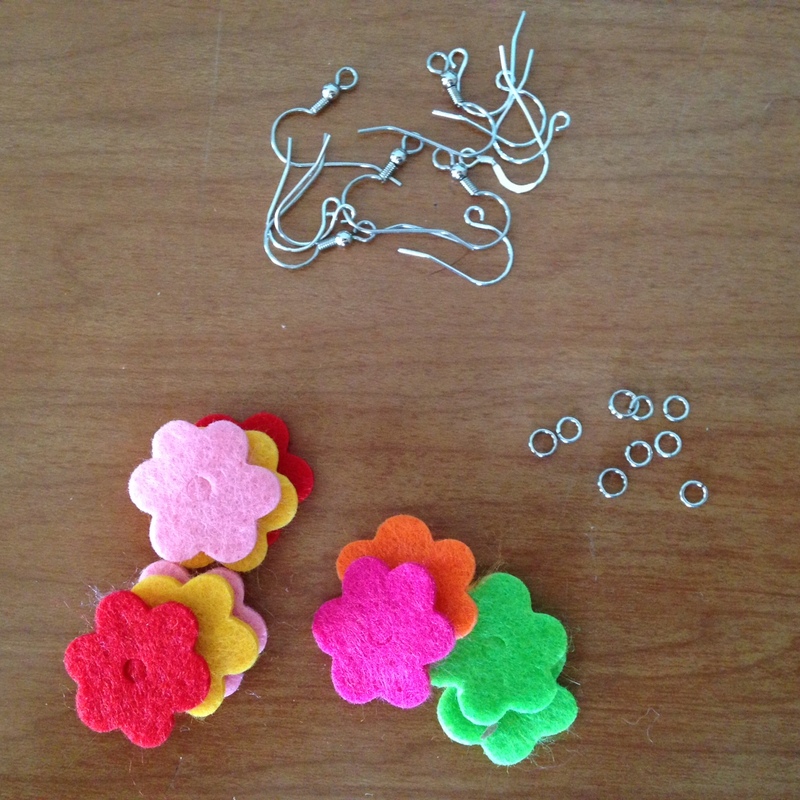 ), I thought some nice bright earrings were in order. 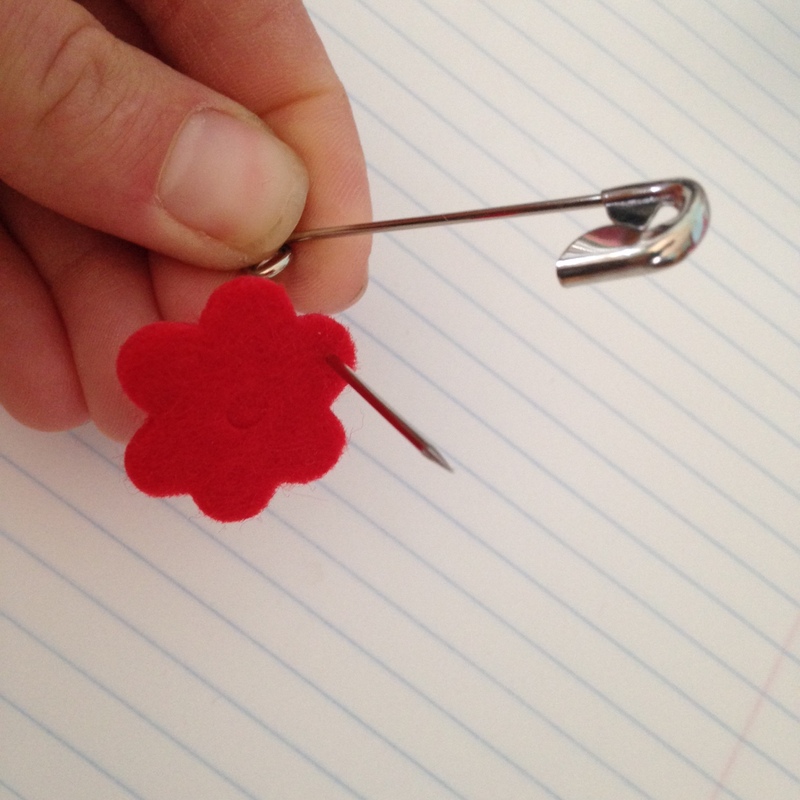 First, I took a large safety pin and made a small hole in one of the petals. This will be the top of the flower. 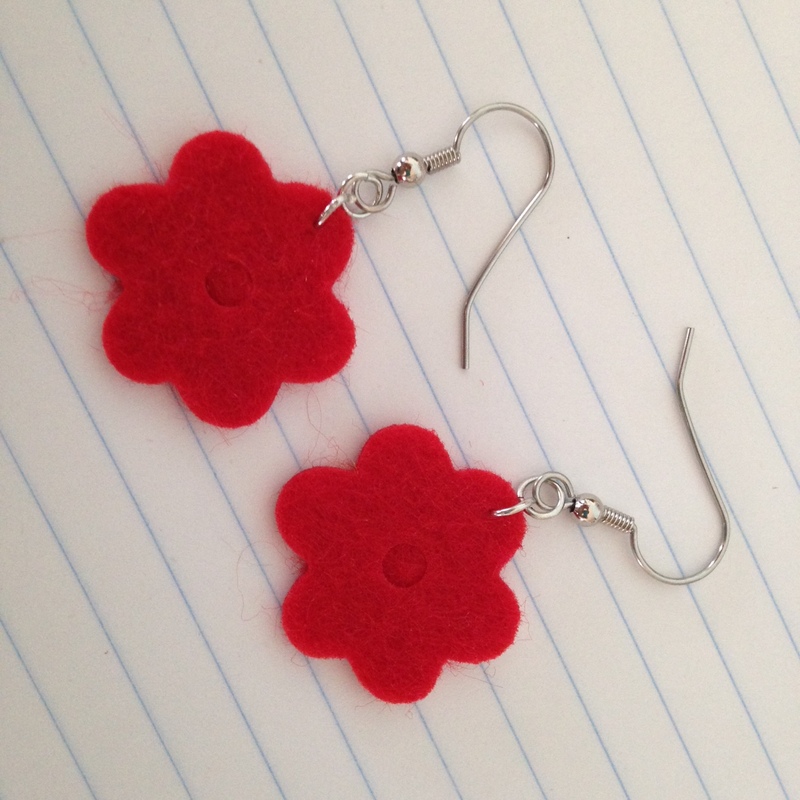 The felt was pretty firm and thick, which makes it a little tough to work with but will make for sturdy earrings. I opened a jump ring using my jewelry tools, then worked it into the small hole formed by the safety pin. From there, it was easy to close that jump ring and add another, then finally add the earwire. 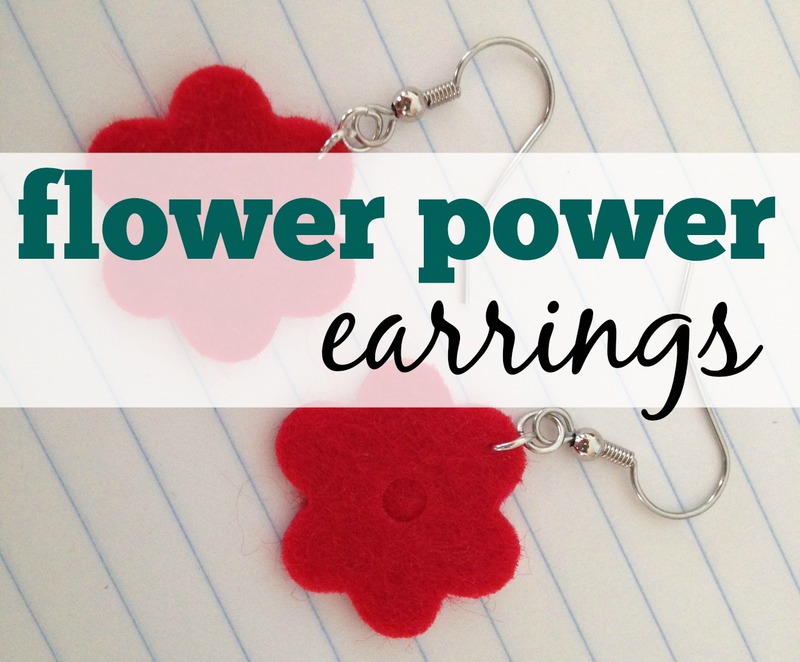 As you can tell, it’s a very straightforward project but makes for some super cute earrings. These would be perfect for a little girl or for anyone who wants to add some fun, bright flowers to their wardrobe this spring! Recipes for Oobleck, slime, and magic mud are everywhere, but all you need to know is that cornstarch and water makes for major fun for kiddos. You probably already have a package of cornstarch in your kitchen – it’s one of those ingredients that, when called for, you only use a little bit and then have a ton leftover that takes forever to use up. If you do have to buy it, it runs pretty cheap at the store. Don’t bother with the boxes that can spill all over the cabinet; instead, you can get cornstarch in a nice plastic tub with a screw-on lid, and it keeps practically forever. The fun for kids starts when mixing it up. Grab your mixing bowl and add about a cup of cornstarch and 1/2 cup of water. Stir it up (be prepared, this stuff acts weird – if you want to get scientific, it’s called a non-Newtonian fluid), and feel free to add a little more cornstarch or a little more water to get the right texture. 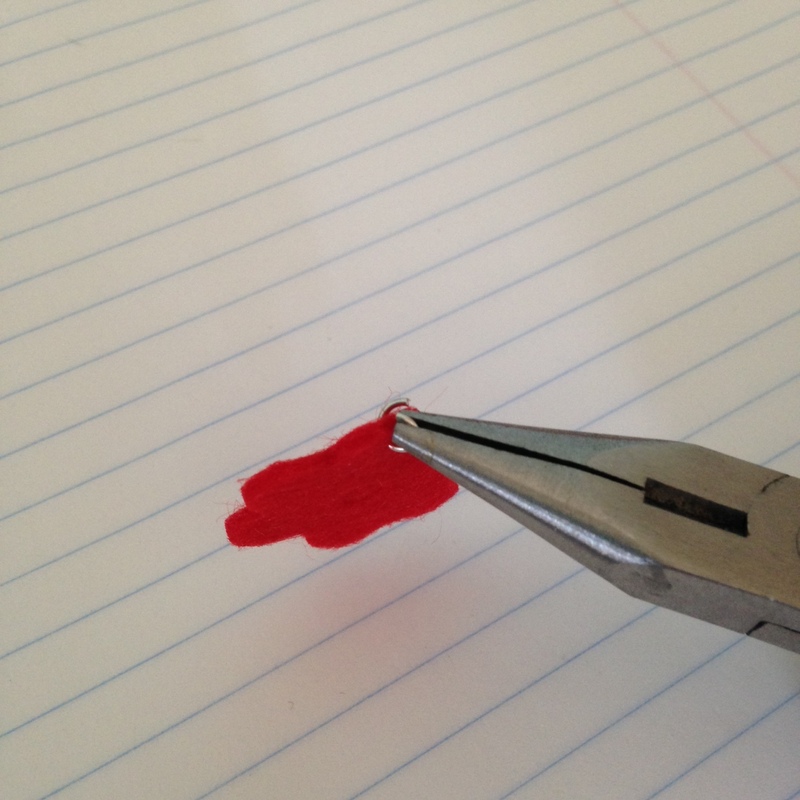 You can add a bit of food coloring too, but food coloring can sometimes stain, so use caution. The easiest way for Aoife to play with it is to pour it on the tray of her high chair. Keep in mind, even though Oobleck is made with edible ingredients, it really shouldn’t be eaten. We get about 20 minutes of playtime before Aoife starts trying to test the limits and put it in her mouth, which is longer than we get with Play-Doh. If you’ve got older kids (let’s be real, this stuff is fun to play with at any age), the fun will probably last even longer. Oobleck (named for the Dr. Seuss book) acts like both a solid and a liquid depending on what you’re doing with it. If you smack it, it feels solid, but if you rest your fingers on it or put it in your palm, it will run like liquid. To clean up, simply run the tray and your your toddler’s hands under running water. For something a little more contained, you can also pour your original cornstarch/water mixture into a Ziploc bag. It will still feel cool and act crazy like Oobleck does, but there will be even less mess. 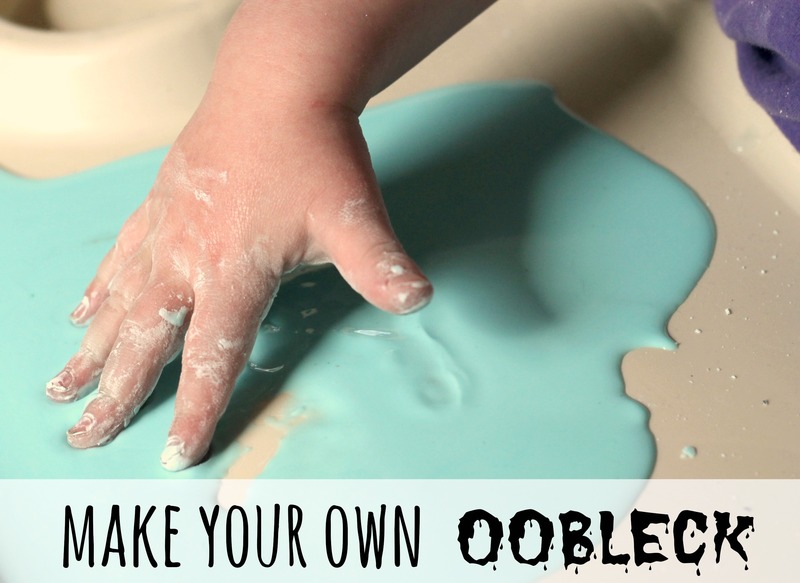 If you’re ready to kick it up a notch, you can try Dancing Oobleck! We haven’t done this yet, but it looks awesome. And for more fun, check out a couple of videos of people walking on Oobleck. Then go try this crazy stuff for yourself! 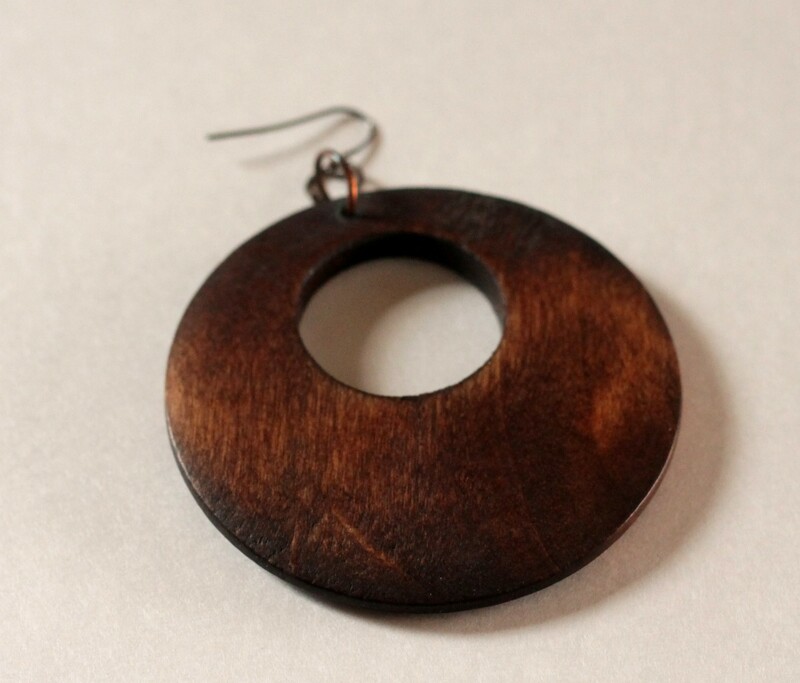 I’ve had a pair of round wooden earrings that have gotten quite a bit of wear. Lately, though, I’ve neglected them and I realized they could use a change. Enter this tutorial from Happy Hour Projects. I love the dictionary page she used, but I had a stash of maps just crying out to be my new necklace. 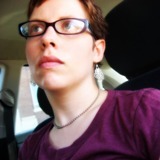 My earrings were already darkly stained, so I didn’t do any prep work. 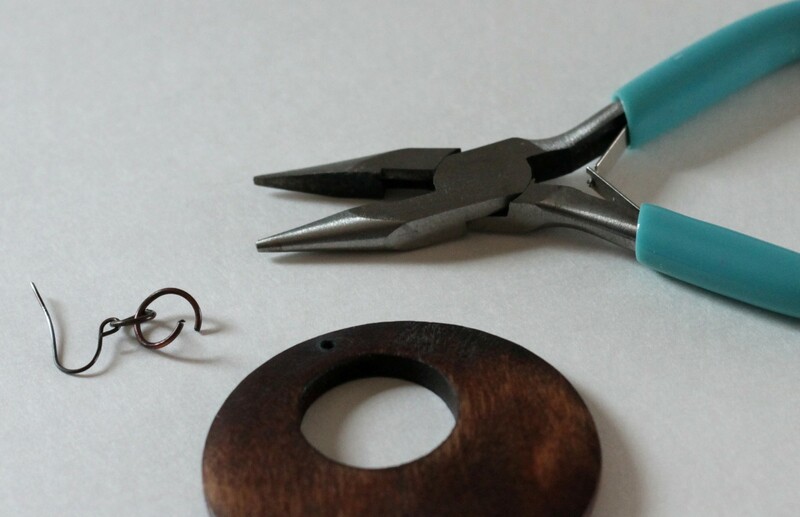 I removed the earwire (tip when working with jumprings: rotate your wrist when opening the ring, rather than pulling the two ends apart), then positioned the wooden circle where I wanted it on the map. I traced around the outside of the circle, then cut it out. 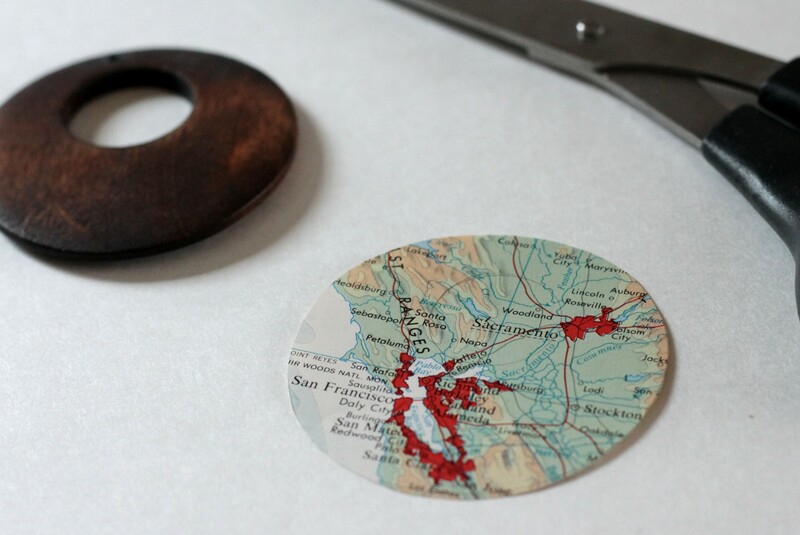 A tip here: the paper will fit better on the circle if you trim it slightly smaller than the circle itself. 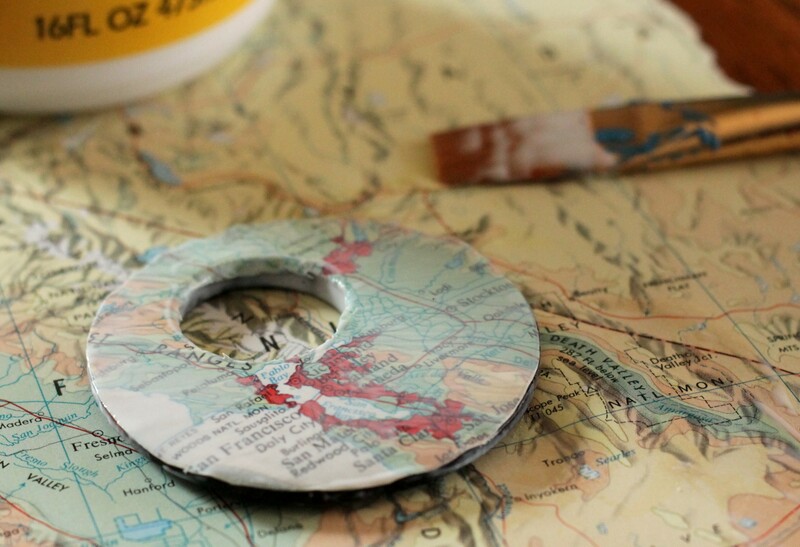 I added Mod Podge to the back of the cut-out map as recommended in the tutorial, then applied it to the wooden circle. Once it dried, I added another layer of Mod Podge, making sure to get the outside and inside edges. 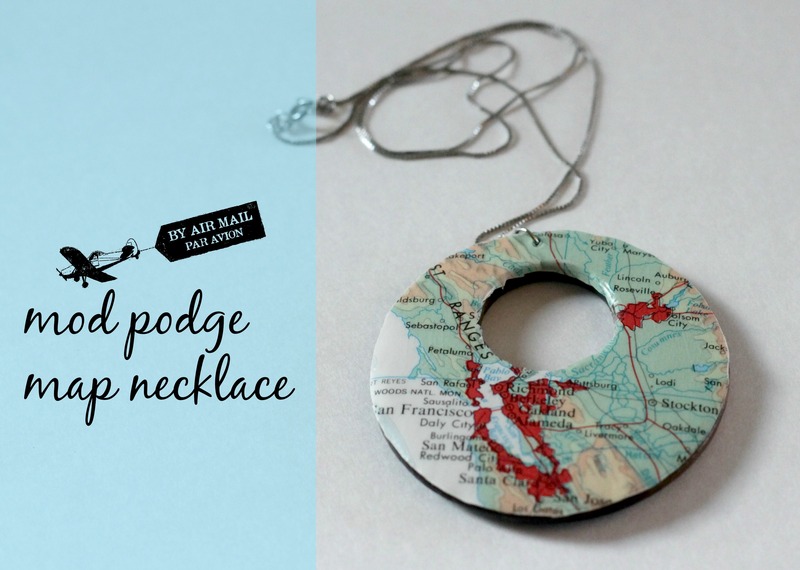 Then add a jumpring and a chain, and you have a new necklace! I was able to re-use the hole that was already there; a safety pin worked wonderfully to poke through the paper and Mod Podge. I wore the necklace today with a white t-shirt and rust colored skinny jeans, to bring out the colors in the map. Do you have any jewelry that needs a refresh? I’m totally guilty of walking through a craft store (or, more often, the craft section of Walmart – oh, the deprivation) and grabbing something interesting off the shelf with no current or even near-future project in mind. Then it sits at home, waiting. I don’t want to waste it on the “wrong” project, so it waits some more. That was the story of an off-brand Jelly Roll of rainbow batik fabrics. Jelly Rolls are sets of coordinating fabrics already cut into strips so you can get right to quilting. I wasn’t a quilter when I bought the fabrics (I’m still not), but they were so darn adorable that I had to have them. Fast forward about six years or so. After one move, two master’s degrees, and one baby, I still had this stinking roll of fabrics sitting among my yarn, mocking me. I was determined to use it, so I commenced bookmarking strip quilt patterns and never settling on the right one (or, to be honest, the motivation to actually sit down at the sewing machine and sew those strips together). Finally, I spotted crocheted fabric baskets on Pinterest. Finally! A project that I knew I could and would actually complete! I used two tutorials to get started, and then just went with my own crocheting experience. The Red Thread explains very well how to make baskets with fabric – the examples there are so adorable! Baskets are perfect as a place to throw your keys and change at the end of the day, and depending on the fabric you use, can really fit any decor. My modifications – I did not take the extra steps of rolling the fabric into rag rope, I just scrunched the strips as needed. I wanted to get started! My precut strips were pretty wide though, so I did cut the strips down the middle, leaving them still connected so they formed a skinnier, longer strip. But I wasn’t using one huge piece of fabric and tearing it into one continuous strip – I had many strips that were not connected. 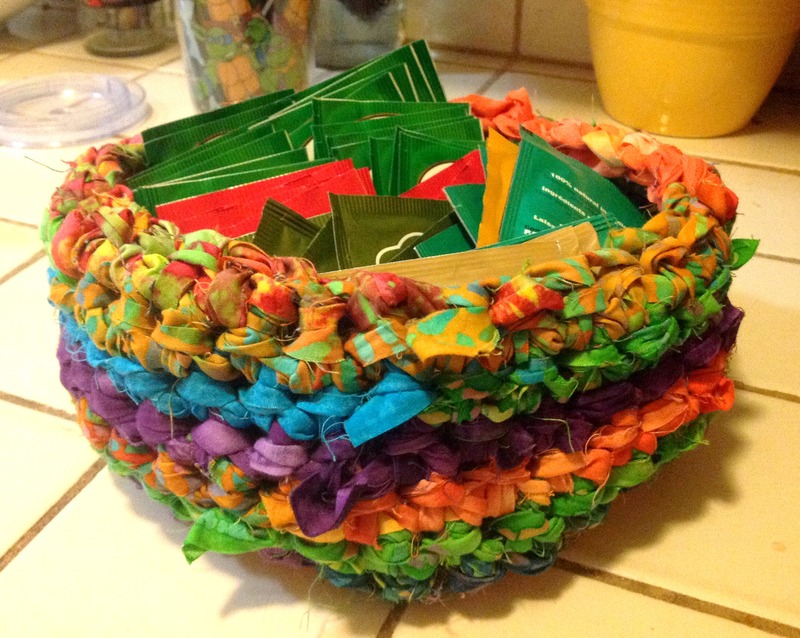 Sugar Bee Crafts to the rescue, with a rag rug tutorial. Instead of sewing strips together or tying them with bulky knots, it’s simple enough to make a cut on one end of the strip and slip the next strip through. I used a big plastic hook – mine is not actually labeled with a size. It’s a crochet hook that actually has a hook on each end, and it’s not as big as a Q hook – I think I remember looking at hook sizes once and guessing that it’s a size P, but I don’t know for sure. After just a few hours of work, I had my basket. It takes a little longer than crocheting with yarn, because fabric is stiff and you have to rest your hands and arms sometimes. I also kept getting the size of my basket wrong and had to undo a few times until I got the right circle size for the bottom. You can see some of the strip ends sticking out – I think it adds character. I went with a rainbow pattern going around. One suggestion if you’re going to make a fabric basket – if you want to maximize the use of your pretty fabric, you could use a different fabric for the bottom of the basket, if no one will be able to see the bottom. This basket is the perfect home for my bags of tea. Before, they were kept in a cardboard box, and who wants to see that sitting on the kitchen counter? Now they have a much prettier home, and it makes me smile every time I brew a cup.